June, 1997. 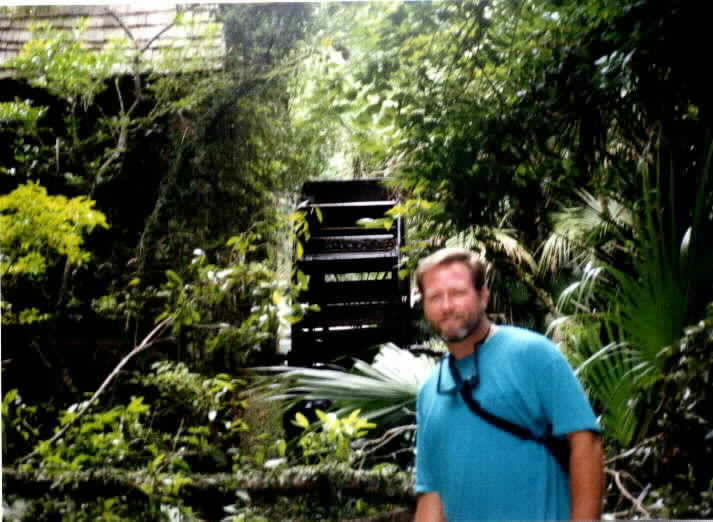 A day trip to the spring and the beautiful nature walk gave us the appetite for more Florida Outdoor Adventures. The beautiful crystal clear Juniper Springs Creek that runs through the park gave us a yen to rent a canoe on our next trip! We had a picnic lunch and then went on the 3/4 mile self-guided interpretive nature trail adjacent to Juniper Creek. We saw many lowland hammock species such as red maple, black gum, the rare needle palm, bays, rich ferns, the crooked pond pine and loblolly pines. Along the trail is a view of Juniper Creek. Also a well-labeled poison-sumac tree! After our hike, we had a refreshing swim in the Spring. Located in the Southeastern part of the Ocala National Forest, off Fla. 40, offers a full range of outdoor activities. There are 79 campsites in three different areas of the park. More about the camping later. 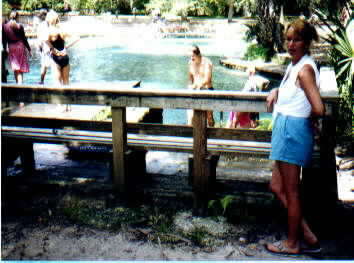 This began as a day trip for a picnic outdoors at the beautiful Juniper Springs. The water is sparkling clear, cool (72 degrees year-round) and a refreshing swim. The head spring area has swimming area, picnic facilities, and a first-rate nature trail that takes you along the pristine spring creek run. Canoe rentals are available for the 7-mile run which lasts approx. 4 hours. We decided that the next trip we would do that! Adjacent to the swimming area, an old mill with a working waterwheel adds to the ambiance of the spring. The Juniper Wilderness is a designated nature wilderness. It has semi-tropical scenery not found on any other national forest in the continental United States. 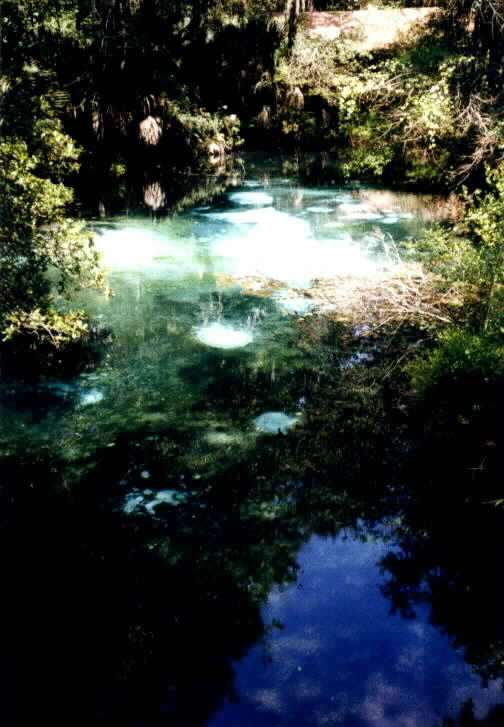 The combined daily water flow from Juniper and nearby Fern Hammock Springs is about 15 million gallons per day. The exceptionally low dissolved solids concentration for a Florida Spring, these sparkling waters rate a gold star! What is a Springs "Boil"? 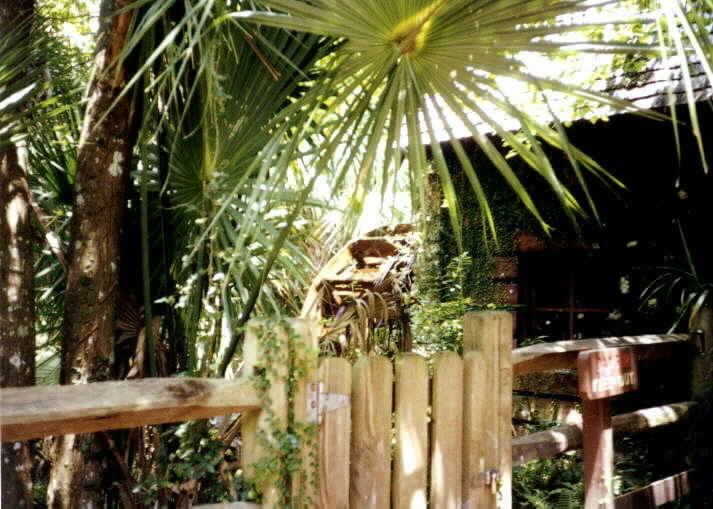 The waters come up to the springs from the Florida Aquifer below then flow down the banks of Juniper Creek for 10 miles to Lake George, known as the second largest lake in Florida. In reality, Lake George is a very wide portion of the St. Johns River. The waters which leave this area contribute to the flow of the St. Johns and eventually reach the Atlantic Ocean, playing a vital part in the balance of our environment.